During the 2016 election Hillary Clinton supporters responded to every criticism of their candidate — warranted and otherwise— with charges of sexism or misogyny. Didn’t like her foreign policy? You were just not ready for a female president. You found her manner condescending and patronizing? Well, that’s just pure misogyny. That seems like a long time ago. With an overcrowded field of Democrats already jockeying for position for 2020, the knives have been sharpened and already put to use. Even before Senator Amy Klobuchar could declare her candidacy, she was getting more attention for having a bad temper and maintaining an allegedly hostile work environment than she was for her impressive legislative record. The allegations in the various articles range from normal complaints about a demanding boss—Klobuchar has a habit of sending angry late-night emails, and Buzzfeed News quotes a staffer who said she was often left in tears—to somewhat more concerning issues. For example, Klobuchar does have a high turnover rate among staffers, and if all the allegations are true, it is possible she violated federal law by having staffers perform personal tasks for her. Whether the complaints against Klobuchar are the result of sexism or not, the left’s muted response to the story highlights some bad news for the senator: Klobuchar does not fit the bill of what the liberal base has to come want from a 2020 candidate, namely, a firebrand who militantly advocates fringe views. Klobuchar is neither a firebrand nor a holder of fringe beliefs, but that means she might be exactly who the Democrats need to take back the White House in 2020. Whether they realize that in time is an entirely different question. Klobuchar is no moderate, and politically, she has little in common with independents and conservatives. But her normalcy, integrity, and thoughtfulness could make her appealing to those voters who want a good alternative to Donald Trump. These qualities were very much on display during the Kavanaugh hearings. When it came time for Klobuchar to question him, she did purposefully, authentically, and in a way that clearly indicated that she was truly interested in hearing his answers to her questions. She conducted herself professionally, as if she understood the implications of what they were all doing there. She took the allegations against him seriously, but never made light of the fact that his career and good name were at stake. Some of her counterparts—several of whom are also declared or almost declared candidates—did precisely the opposite and treated the hearings as an opportunity to score partisan points, and seized every “gotchaa” moment they could. That she voted against Kavanaugh is not the point; Klobuchar took the issue seriously, thought about it carefully, and made a judgement call. This behavior seems thoroughly in line with how she has always conducted herself in the Senate. After four years of having a president who shoots from the hip, acts inappropriately and impulsively, and never, ever comes across as thoughtful or professional, many Americans are going to be hungry for a candidate who gives politicians a good name. 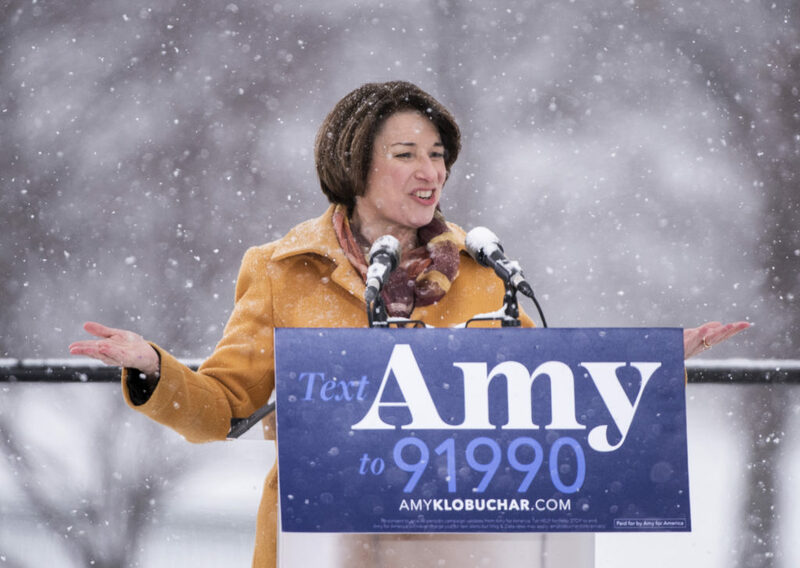 If she can get through the primaries, Amy Klobuchar may just be that person.